I like to read other people’s posts and see what they have to say and then I will post a comment. I love to see what people write on posts. I am new to blogging and love to see people comment on my blog. I do go back and answer people’s comments. Of course there have only been a few. Anyway, I would love to have your book. Thanks. By the way, I love your blog. I am new to gardening AND reading blogs about gardening but I am loving both. I feel like I’ve stumbled on a gold mine finding your blog. It is delightful. I have found that I will return to comments if I have commented on something but if I haven’t posted anything then I usually skip the comments. When I get your new blog on my side bar,I always take a look. I look forward to your blog very much. I have on occasion made comments, and I always read the comments others make. It’s nice if you have the time to comment back, but with your busy schedule, I’m sure it’s very difficult. Continue to do what you do, your blog is a work of art, and I’m an admir’er for sure. I’m fairly new to both reading and writing blogs. I do try keep up with quite a few blogs on a number of topics. Almost always, blog reading is done from my phone, so often the comments are hidden. I do read other people’s comments occasionally, though I rarely comment. I appreciate the rare comments that I receive on my blog, so perhaps I’ll comment more often. I enjoy your blog very much – thanks! Yours is one of the few blogs I always check in on, maybe not daily, but at least once a week! I have to see what the chickens are up to! Love the photos! When I leave a comment I always check back. Love to see what others have to say. Thanks for the drawing! They are always fun! I always read other comments before posting my own. I’ve never noticed a method for subscribing to comment follow ups on the blogs I visit, then again, it could just be my old browser/computer. And if it’s a topic I’m vested in, I do return to read follow up comments or if I posed a question to the author. Just saw your book at a friend’s house tonight, awesome content and design. I’m amazed the publisher printed 4/c process cover to cover. Hard to get that pushed through most publishers. Good job! Sometimes I read the comments before I write, and sometimes afterward. But unless there are dozens (or 100s) I always read the other posts. Now I am making a “charity plea” — I’m a poor churchmouse who just got her salary cut. My book budget for 2010 is pathetic. I would absolutely LOVE your book, avid veggie gardener and sustainability freak that I am. And I love your chickies! Oh my gosh! Your comments are all so kind! Thank you! I think I’ll have to be better about comments. Diana is right, the busy schedule is always a problem. But if you’re actually reading and checking back, that makes a difference. Thank you for the kind comments. And my chickens thank you! I check in on my fav blogs a few times a day. Yes, I usually read the comments, even if I’m not going to respond. If I do respond, I always read the comments. No, I don’t subscribe to comments, except once in a blue moon. I already get enough stuff in my email. I can’t handle more. .-= Eva´s last blog ..Gardening Books for Kids =-. After reading a post, I glance at the comments and read them if the discussion seems interesting. I read all of them if I plan on commenting, as my response will often adress not only the post, but some of the other comments. I never subscribe to the comments – it would only annoy me. Very rarely do I return to check other comments – it must be an awesome discussion on something very important to me. Like the best way of solving some serious problem. I usually only check back on comments if I or someone else has asked a specific question, and I’m interested in the answer. For me, it isn’t that important if you respond to each comment, time being what it is for all of us. .-= Vertie´s last blog ..A Light Dusting of Snow =-. If a post is of great interest to me I always read the comments. I will add a comment if I think I have something different to offer or to support a position in a discussion. Comments are such a great way to get more info from more people! I rarely subscribe to follow-ups because my inboxes are full enough but I will check back to see if more discussion has evolved from my comment. I’m coming to check out the blog anyway, right? May as well see what happened after reading any new posts. Enjoy you blog and all the different aspects you cover. 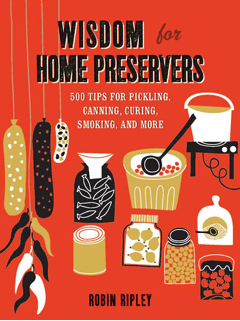 Would LOVE the book – as market gardeners and CSA providers it would have lots to share with our subscribers.! I read comments on topics I really like or if I know people are going to be expanding on the topic. I don’t usually subscribe to the comment followups unless there again I really want to know what people come up with. I do scan what the other comments are before commenting so I’m not redundant. I usually read comments before adding one of my own, unless I’m in a hurry. I don’t subscribe to the follow-up comments but I sometimes will check back to see what the blog author or others have said. With my own blog, I also go through phases of being good about responding to comments and not being so good about it. You’re not the only one who feels guilty about that! .-= Ramble on Rose´s last blog ..Book Review: Year-Round Gardening =-. My commenting habits really vary depending on the topic of the post and blog in question. If an interesting conversation is developing, I tend to read at least the comments that looks more interesting. I usually do opt to get follow-up comments sent to my email. Once I’m sick of getting them, I just unsubscribe. Fantastic book~~I am enjoying it very much! Since I have a copy don’t put me in the drawing…But comment readers~It is an excellent book. .-= Gail´s last blog ..March Muse Day =-. I do tend to read comments on blogs. The more interesting the subject, the more comments I read. I have learned alot from what I read. I like to read about farming, cooking and home remodies. I am building a farm, in Maine with my two draft horses. Hi Robin! Congratulations on your book! I read other comments mostly after I place my own comment. If I don’t have much time, I don’t read them at all. I subscribe very rarely to comments, only when I asked a question. I return to a post, mostly, only to check what that blogger answered to my own comment. .-= Tatyana´s last blog ..Spring Works and Blooms in February =-. I read other comments before commenting myself because I don’t want to repeat what someone else has already said. I don’t think I knew you could subscribe to comments 🙂 Sometimes I return if the topic really intrigues me. I would love to have your book,it would make a nice birthday present (mine’s Saturday, hint hint) LOL Love your blog. Keep up the good writing. I don’t always read comments. But if I do and I leave a comment, I sometimes subscribe to comments, but not always. .-= Shannon´s last blog ..Guest Post: Use It Up, Wear it Out, Make it Do or Do Without =-. If I find a post is interesting I also read the comments, though I rarely leave a comment of my own. I enjoy gardening and am in western Colorado zone 4. 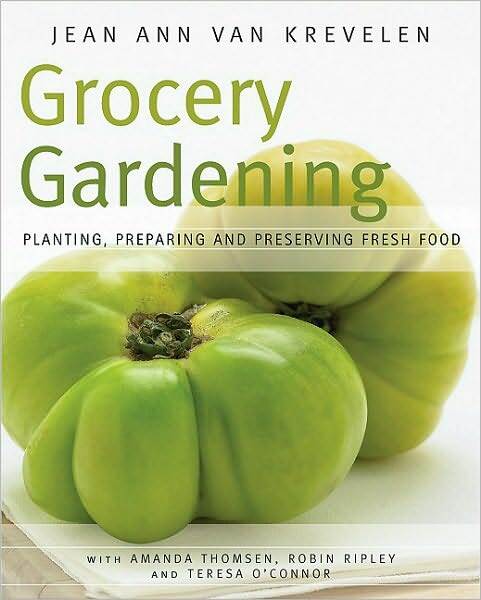 I am looking to expand my vegetable garden this year and am looking for ideas and help so this book would be wonderful. How, if at all, do you read other comments on blog posts? Do you read them before responding? Never read them? Something else? I’ll read other comments if I think they’ll be interesting. Like on this post, I didn’t read the comments…but if something dramatic happened to a chicken (dumb example) but I might read what others wrote. No, never. I fear my Inbox could be swamped with responses. Sometimes…but only if the topic itself was really interesting or if I know that the blogger always responds to comments. If I leave a comment from time to time on a blog for the author and I NEVER get a response from the author, I won’t go back and read the comments. If I see the author periodically reply to commenters I do sometimes go back to see if there are any follow-up’s. .-= Kate´s last blog ..Dirty Money =-. Yes, I do return to a blog post to see what other people are saying. No I don’t subscribe to comments, too much clutter. I do occasionally read your older blogs in other categories. It would be nice to see a response to a question on a blog but other than that it probably isn’t necessary to respond. I like that your blog isn’t just about gardening. It makes it so much more personal. Congrats on the book! Robin, I am most eager to read your book so I’ll be happy to answer your questions! I sometimes read other commenters’ comments, depending on how many there are. I sometimes subscribe to follow-up comments but usually not. I rarely return to a blog post unless I asked a specific question and am hoping for an answer. Congratulations on your new book (if I haven’t said so already). .-= Jean´s last blog ..Two More Good Reasons not to Top your Crapemyrtles =-. Congratulations on the book. I look foward to reading it (for free would be fabulous and appreciated!). I do a quick scan on blog posts if the topic is of interest. I’ll read further if I’m intrigued by them and want to follow the thread. If I’m going to comment, I definitely read them all before posting. Only rarely do I subscribe to the posts–it has to be something where I’m looking for an answer or have an intense interest (it does happen). My returning to a blog post is pretty rare. I almost always read comments. I find if I am going to try something new,a book or craft etc. I read the comments and learn more tips.I return to a post sometimes when I am trying something new,more often I print the post.I love the book! I work at a big orange box store and have been peaking. I am building a farm and skills. I have currently bookmarked 36 gardening/nature blogs, many of which i found through Botanical. I’ll read other readers’ comments if the post is especially interesting, but I’ll generally read the post first, comments second. And I usually go through all 36 of ’em every few days, when I need a lift from this dreary winter or am looking for inspiration for my own blog. .-= fern´s last blog ..Centennial Watershed State Forest hike =-. I often read the comments, but not always. And I don’t subscribe to anything. As many of the others have mentioned, I can’t control my inbox as it is! A lot of times, I read comments and click on the links to the commenter’s blog. This is sometimes how I find more blogs to be addicted to! Robin, I LOVED your presentation on the artful vegetable garden at the Davidson Gardening Symposium! So fun to meet you in person. I have been inspired to raise chickens in my backyard, and my children are so excited! Thanks for blogging…. Thanks, Mardi! It was great to meet you. Let me know how your chicken adventures go. I have a new chicken project and would love to hear your beginner stories. I usually skim comments and look for ones that say something other than “So funny!” or “Me too!” When I do comment, I usually don’t subscribe to follow-ups but I often return to the post in my feedreader to see if anyone else said something interesting. I think keeping up with new posts plus following up on comments on old posts would be a full-time job; too much good stuff to read out there! 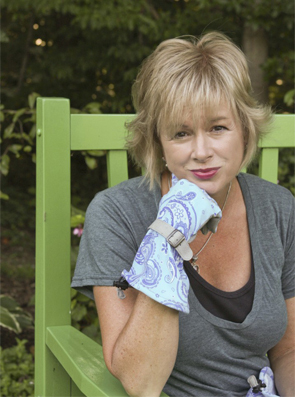 .-= Diane´s last blog ..March: Chicago Flower and Garden Show =-. Most of the time I don’t read comments… I think I read too many blogs to read all the comments too. If I do comment, I will rarely go back, unless I have asked a specific question or something specific is being discussed – but even then I usually don’t. I do enjoy your blog, though, and I would love to read your book. I adore gardening books and can always find an excuse to add another one to my collection. This one would be guilt free! I just found your blog a couple of weeks ago. I grew up in MD, moved to the midwest for 12 years, and just returned to the shore. I am eager to learn about gardening in the warmth again, and love the things your blog teaches me. I am just getting into preserving my harvest, I’ve only frozen tomatoes, corn and berries in the past. Your book is beautiful! .-= Grace´s last blog ..A short baby update =-. I usually don’t read comments, unless I am about to write one myself, then I’ll scan through and see what other people are saying. Though, I will read them sometimes, if I think there will be an interesting discussion. Thanks everyone for responding to my questions about comments. Actually, you’re telling me what I expected! – You read the comments if it’s an interesting discussion. – You will check back if you have asked a question, but you generally don’t subscribe to comments because it clutters your email box. .-= Robin Ripley´s last blog ..Got Grocery Gardening? =-. Well, first, congratulations on the success of the book. Yay. As for comments, I sometimes read some but if there are many, I do not as who has that amount of time? I sometimes check back to see if there is a response but not always, again, time. When I leave a comment, it is intended for the blog writer and since I am short of time, I know everyone else is also. Comments are the blog candy aren’t they? .-= Layanee´s last blog ..Nepal – Phase IV – Seti River Camp =-. I generally read the post and then the comments. If it is a topic I am very interested in and if I have anything to add to the conversation I will go ahead and leave a comment. On topics that do interest me a lot, I will come back to the blog and see what others have said. Congratualtions on the book. I enjoy your blog very much and look forward to reading the book. It is nice to see canning coming back into vogue. I don’t feel like such an oddball now. I have just started a garden website to use as my brain dump! I am going to do a garden this year for the first time ever. I work all the time and believe getting outside in the soil will be so healthy for me and produce healthy edibles as a bonus! A friend emailed the link to your site and I posted it on my gardening blog so I wouldn’t lose it. I came back to your site today in my attempt to learn what I should be planting at this time of year and learned about your book! I’m excited to read it and thank you for all of your help and the experience you share so beautifully here. I have a blog about real estate investing so I know the importance of getting feedback to posts. I will definitely be following you and responding to your posts in the future. Best of luck with your hot selling book! .-= karen´s last blog .. =-. I scan comments if I’m doing research on a topic and a blog entry was returned OR if a blog entry is particularly interesting or asks for feedback or more ideas. I don’t think I have ever returned to a blog entry to read follow-up comments. I never request notification – too much email already. I like to read comments on a topic I am interested in. I will usually go back to look for responses if I leave a comment but do not subscribe. I attended your lecture at Davidson Horticultural Symposium this week and really enjoyed it! This is my first time visiting your blog – looking forward to following it more. Wonderful about your book! It looks wonderful too. I will be sure and order one. Always good to catch up with you. Spring is trying to wake up! How wonderful! I’ve been lucky enough to get a copy and I’ve read it cover to cover. I’ll be posting a review as soon as I finish another recipe or two. Thanks for the great work! .-= Stevie´s last blog ..A Little More About Me: Interview =-.